A pioneering concept recently unveiled by a consortium consisting of Howaldtswerke-Deutsche Werft (HDW), Krauss-Maffei Wegmann and Rheinmetall W&M at the HDW wharf in Kiel looks set to create a whole new dimension in surface combatant firepower. Known as MONARC (Modular Naval Artillery Concept for Naval Gun Fire), this solution promises to increase the range and effectiveness of ship-mounted artillery and ammunition several times over. As a result, naval units now stand to benefit from the technological edge enjoyed by German industry in the field of heavy-calibre artillery systems for ground forces. Rather than embarking on an expensive new development programme, it was decided instead to draw on a previously fielded weapons system from the cutting edge of ground forces technology. Developed with HDW acting as lead company, the concept entails mounting the turret and main armament of the PzH 2000 self-propelled howitzer – the world’s most advanced 155mm artillery system – to the deck of a warship. For demonstration purposes, a complete PzH 2000 turret has been temporarily mounted to the foredeck of the F124-class frigate Hamburg. The successful presentation sought first and foremost to demonstrate the basic feasibility of the new interface. In particular, it showed that modifying the infrastructure of new and existing ships could be accomplished at reasonable expense, while still maintaining the full range of essential fire support characteristics of the PzH 2000. Especially in the United States, major efforts are now underway to enhance the range and accuracy of naval guns and ammunition in order to engage targets onshore more effectively from seaborne platforms. These development programmes demand a great deal of money and will take a long time to complete. This is where the German consortium comes in: in order to achieve a solution requiring relatively little development effort quickly and at reasonable cost, they came up with the idea of installing an advanced heavy-calibre gun onboard ship that would be capable of delivering a variety of ammunition types to distant targets onshore, thereby making use of existing, highly effective technology. The main armament turret of the PzH 2000 meets these criteria. The PzH 2000 self-propelled howitzer is widely acknowledged to be the world’s most advanced 155mm artillery system. By the end of last year, Krauss-Maffei Wegmann, the general contractor, had already supplied no fewer than 185 of these systems to the German Army. 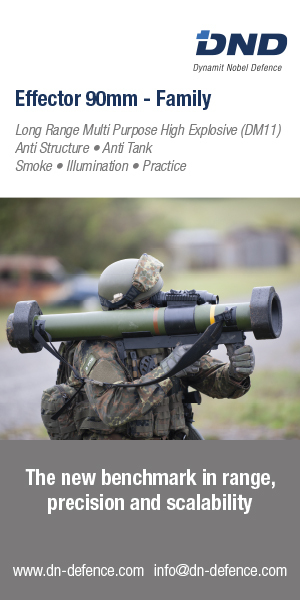 Rheinmetall W&M is responsible for furnishing the system’s main armament and ammunition. With orders already booked from Greece, the Netherlands and Italy, the PzH 2000 is already well on the way to becoming the standard NATO self-propelled howitzer of the future. The PzH 2000 is characterised by fully autonomous navigation and fire control functions as well as featuring a fully automatic ammunition handling system. Moreover, it is capable of firing ten rounds per minute at a maximum range of 40 km; thanks to its high-precision gun-laying system, it is also very accurate. A new generation of artillery ammunition currently being worked on by Rheinmetall W&M development engineers promises to attain ranges of over 80 km. From the standpoint of naval architecture, the main challenge encountered in integrating the turret onto the deck of a frigate consists of having to mount a big gun onto a relatively small vessel. It is not so much the weight of the turret that is a problem: after all, the medium-calibre turrets already in place weigh nearly as much. Furthermore, the space requirement both above and below deck is no greater than that of a conventional 76mm naval gun. The real problem lies in the effects of recoil on the structure of the ship. The necessary reduction in recoil force is to be achieved through a temporal extension of force transference by means of an elastic mounting. By using a flexible mounting rather than rigidly fixing the turret to the deck in the conventional manner, the impact of residual acceleration on the structure of the ship during firing is expected to remain at an acceptable level. Since the turret is essentially self-sufficient, all that is required is a 24-volt power connection and a secure link to the operations room and the bridge. In addition, the ammunition storage and handling systems will have to be modified. Furthermore, in order to compensate for the movement of the ship, the gun-laying system will have to be stabilised. Thus, MONARC represents a forward-looking solution to the problem of finding a high-performance gun for use on frigates and corvettes – and one whose advantages are by no means limited to its long range and effectiveness at the point of impact. Given the wide assortment of ammunition types available, these surface combatants will gain new ship-to-ship naval warfare capabilities as well as the ability to engage targets onshore with great accuracy and effectiveness. And, as the shipbuilder HDW is quick to stress, the modular design will make to easy to retrofit the system to ships already in service.